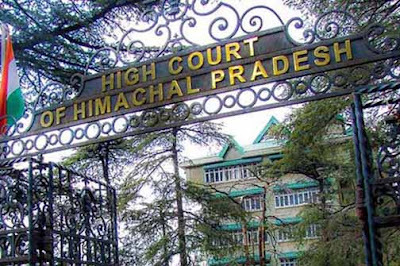 Shimla : The High Court of Himachal Pradesh today directed Principal Secretary Health, Director Health & IGMC Shimla file fresh status report specifically indicating the facilities/infrastructure provided in health centers, right from the level of a Primary Health Center to District/referral hospitals and Zonal Hospitals, including the two Medical Colleges IGMC Shimla & Tanda. Court further directed to indicate about the pattern of administration existing in all the above hospitals and the officers entrusted with the job of ensuring availability of life saving drugs and other infrastructure development work. The Court also directed the Secretary Health Govt. of India, Director, Health Services Govt. of India and Medical Council of India to file reply in the matter and to indicate that what steps they have taken to provide assistance to the State for the improvement of health services in the state of Himachal Pradesh. A reference shall also be made whether there is any mechanism in place by which they can provide funds to the state government or to a particular hospital for the improvement and development of health infrastructure. A Division Bench comprising the Chief Justice Mansoor Ahmad Mir and Justice Tarlok Singh Chauhan passed these orders on a petition filed by Advocate Komal Chaudhary wherein, it was prayed that an adequate medical Infrastructure in the whole State which shall confirm to the standards as provided under Indian Public Health Standards. The petitioner has further prayed to appoint adequate number of Specialist Doctors in all the Health Centres/Hospitals in the State.